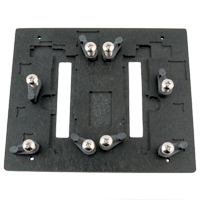 Table/Bracket Aoyue 668 is a versatile, multi-PCB holder to work with PCB of different shapes. 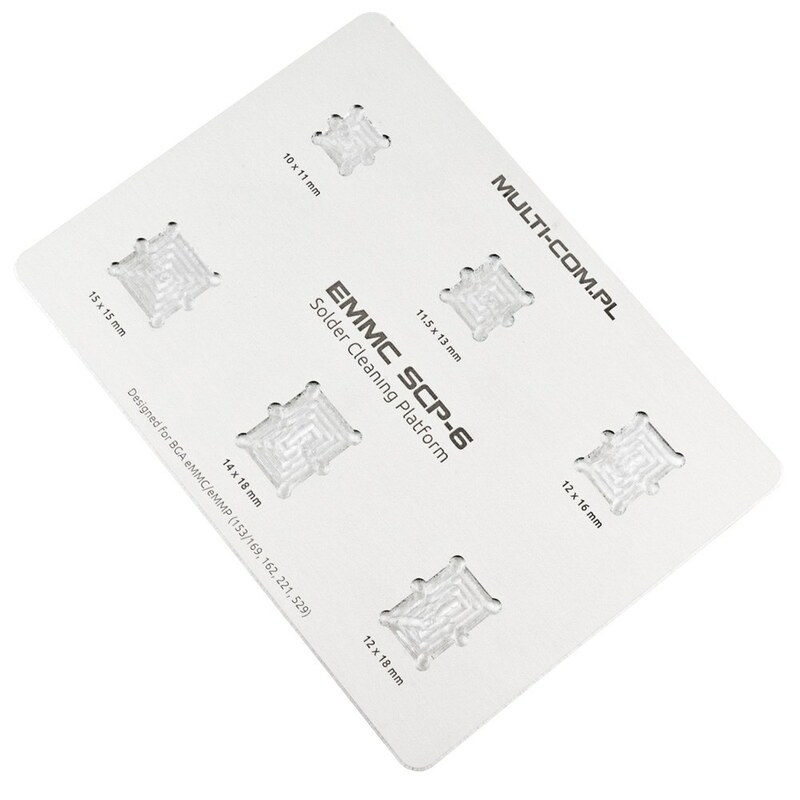 Especially recommended when using the preheater, as it prevents deformation of the PCB during soldering and provides comfort and safety for the user. 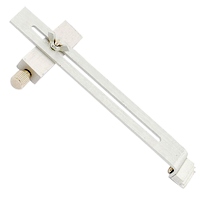 This particular model holder was originally designed as an integral part of the heater Int883, but thanks to its versatility and stability, it was decided to sell it as a separate product. 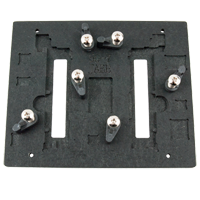 For users who already have a preheater and looking for a solid grip to the PCB, Aoyue 668 is the ideal solution. Aoyue 488 smoke absorber + repair platform is equipped with two movable handles, they allow stable fixation of the plate. Made of material resistant to overheating. Invaluable when working with hot air soldering iron and ordinary irons. Smoke Absorber absorbs toxic gases produced during soldering. 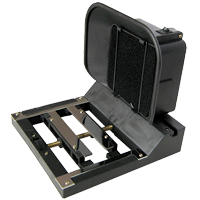 BGA BST-326 Cleaning Kit contains a grounded metal platform for cleaning BGAs on iPhone and other devices. 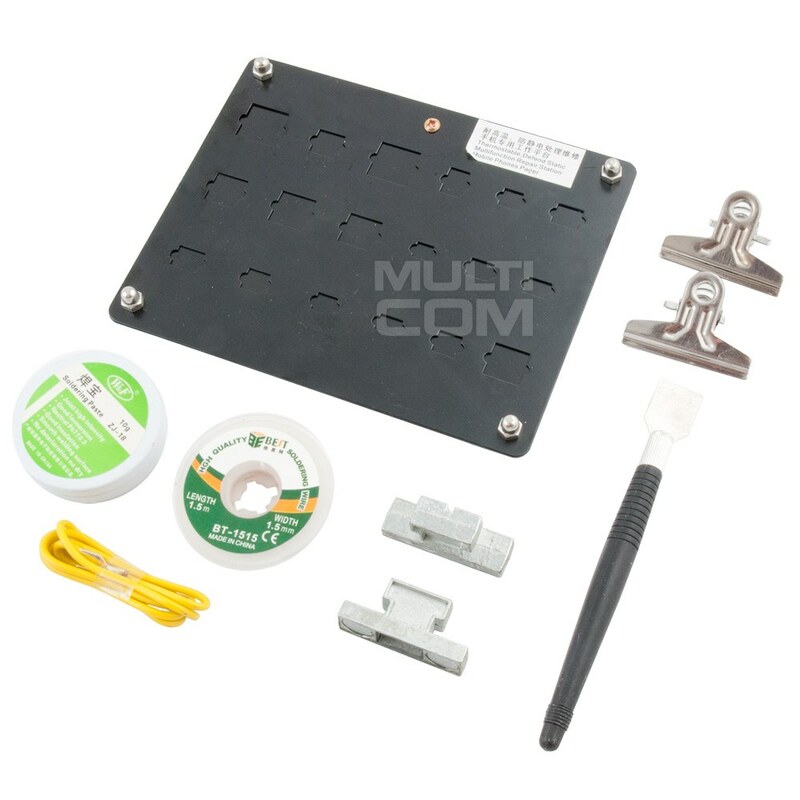 The set includes paste, copper braid, spatula and two mounting brackets. 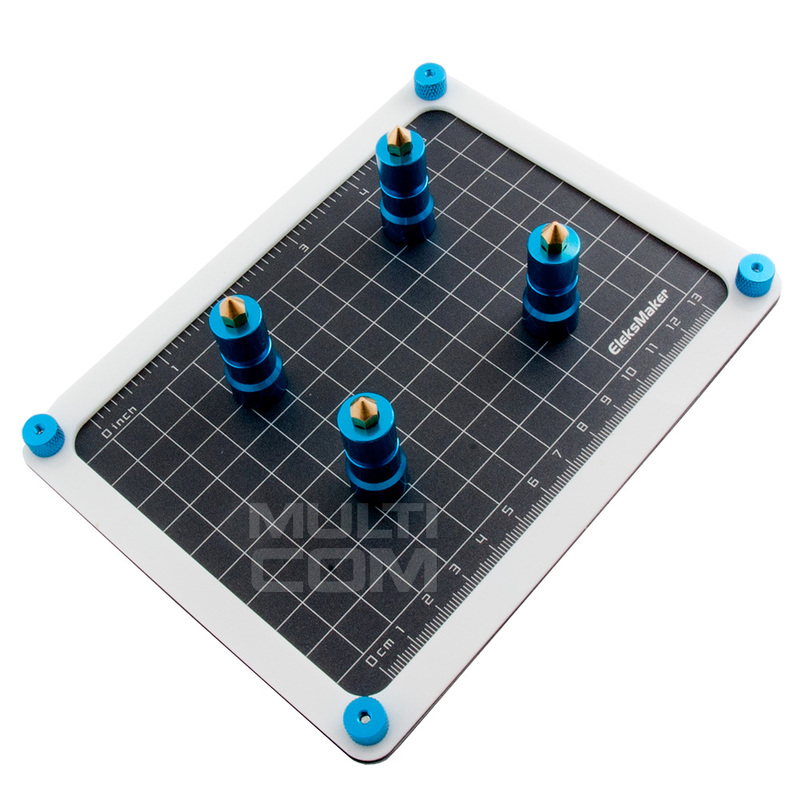 Eleks Maker platform is a magnetic service platform irreplaceable when repairing smaller printed circuit boards, i.e. mobile phones and many other devices. 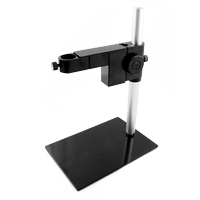 It has four magnetic handles for secure fixing of the serviced device, and an additional scale allows additionally taking photographs of the equipment received. 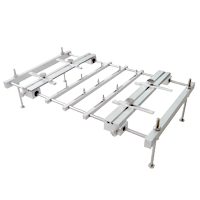 The large stand isolated from the ground ensures stability and the material it is made of is resistant to overheating during service work, for example using the hotair. 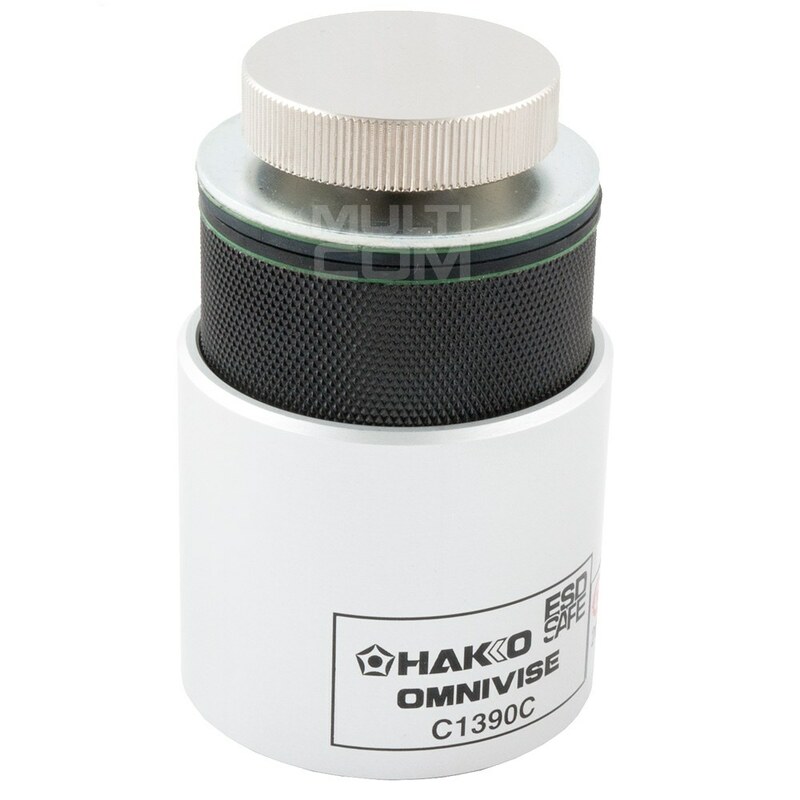 HAKKO Omnivise C1390C Handle is a professional mounting bracket from renowned HAKKO company for the installation of all flat components during service in electronics, jewelery or modeling. 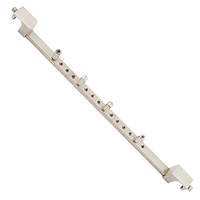 The handle, thanks to the height adjustment (72.5, 78.0, 84.5, 91.0, 97.5 mm) as well as the wide range of mounting bracket (from 0 to 20mm) puts the handle at the forefront of this type of solutions. Infra held stand it's dedicated for Infra ceramic held unit as well as Full version iwth preheater for precise solder. 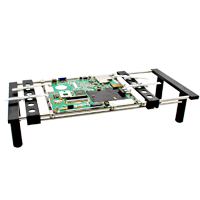 JOVY PCB Table for PC motherboards Together with the RE-7500, the Jovy Systems PCB X-Y Table enables efficient reworking of electronic PCB assemblies. JV-LSU PCB Holder for X-Y Table Supports (Large) PCB’s warping, wrap and sag – Lead Free applications require high range of temperature for reworking or repair, it might be sag or warp during the process and it is particularly noticeable especially in thin PCBs such as those used in mobile applications, portable game consoles and the thin mother boards for Laptop. Large scale supporter JV-LSU supports larger boards from the bottom side with four main pins hold up the PCB to be placed away from any of the board components. 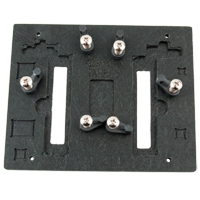 Irregular PCB shapes could need both types of supporters together(JV-LSU & JV-SSU). JV-SSU PCB Holder for X-Y Table Supports (Small) PCB’s warping, wrap and sag – Lead Free applications require high range of temperature for reworking or repair, it might be sag or warp during the process and it is particularly noticeable especially in thin PCBs such as those used in mobile applications, portable game consoles and the thin mother boards for Laptop. 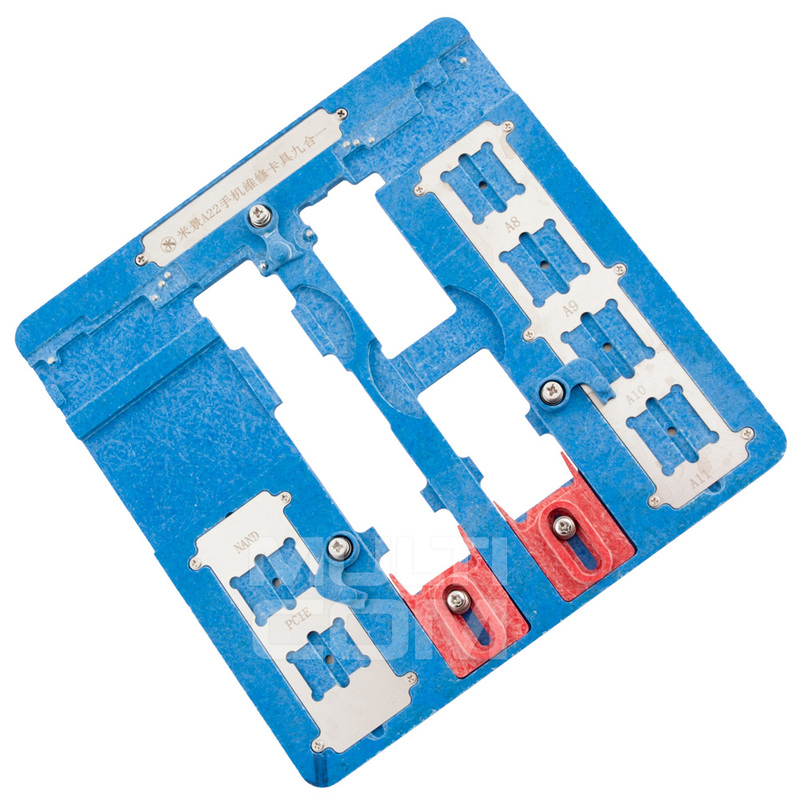 Small scale supporter JV-SSU holds boards from any of its edges with the supporter hinge to be used for or small PCB. Irregular PCB shapes could need both types of supporters together(JV-LSU & JV-SSU).